This is a ladies shoe. 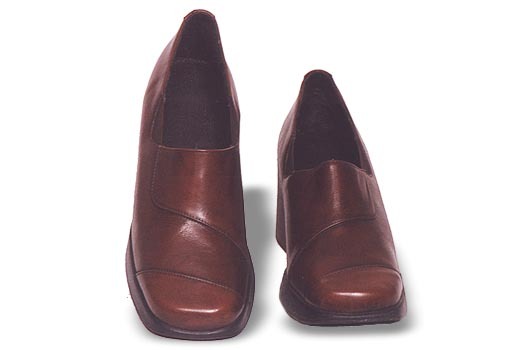 The sole is a TPR and the bottom is flat with the heel built in the sole. The style is available in dark as well as light colours. This model was made in Glazed Buff.